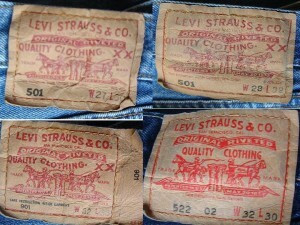 How to spot fake Levi’s | iSpotFake. Do you? 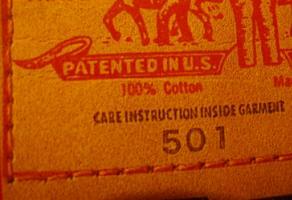 Almost always stamped '501' off-center or not stamped at all. 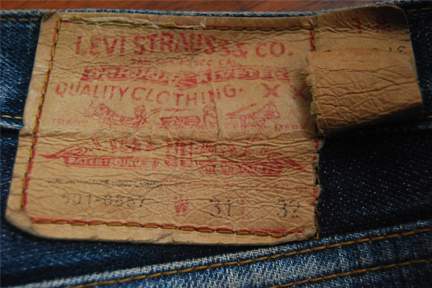 While some non-vintage authentic 501s may have this stamped on them, vintage big 'E' will always have a single digit or letter stamped (6, 5, 2, W) or blank, but if it is blank, there are usually punch marks on it. 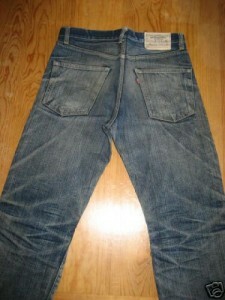 Note how this pair of fakes has '501' poorly imprinted on the rear of the button. 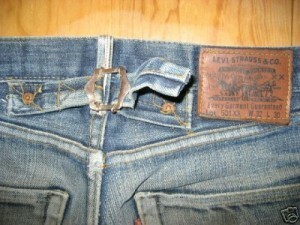 Also the long V-stitch as well. 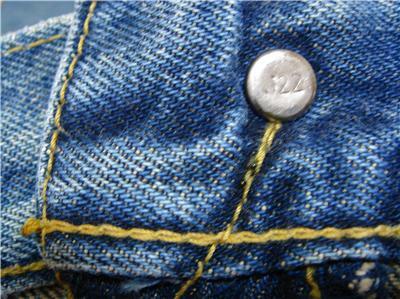 -Rear Patch: The rear patch on the right hip can also give clues to whether or not the garment is authentic. 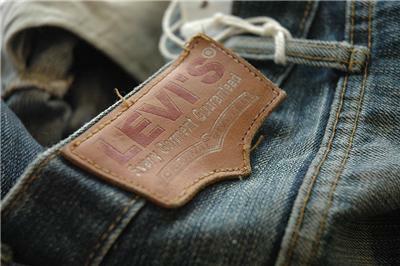 – Material: If it is a hard leather like material, the jeans are suspect. 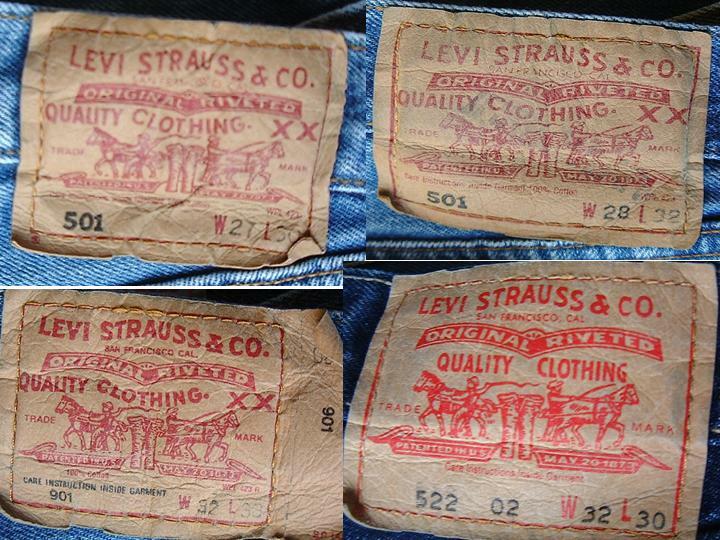 Unless the jeans are from the 1930s and the patch has a 'jerky' look to it, very few other Levi's have or had a real leather like patch. 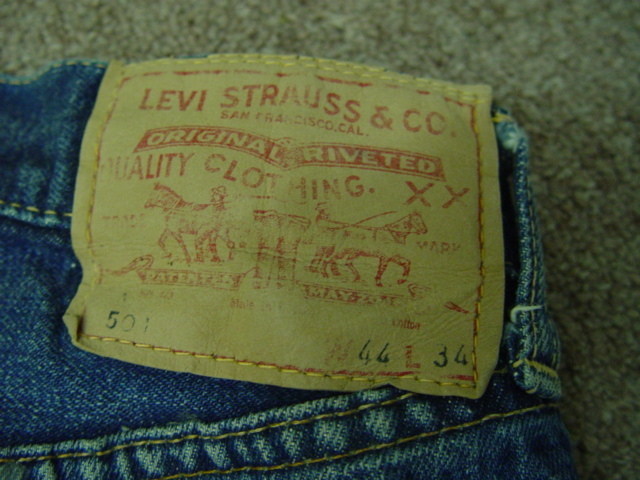 Although this is not a surefire way of telling because some in the LVC (Levi vintage clothing line) and ones produced in places other than the United States (Japan, Canada for example) did actually come with a hard leather patch. – Labeling: Another clue is the printing on the patch. If the patch material seems authentic, most times the printing is not. It is either off center, spelling mistakes, or barring all of that not being present they are labeled '501-0657' in black ink. If the jeans are anything other than black 501s from the 1980s – if they have that on the label than they are fake.